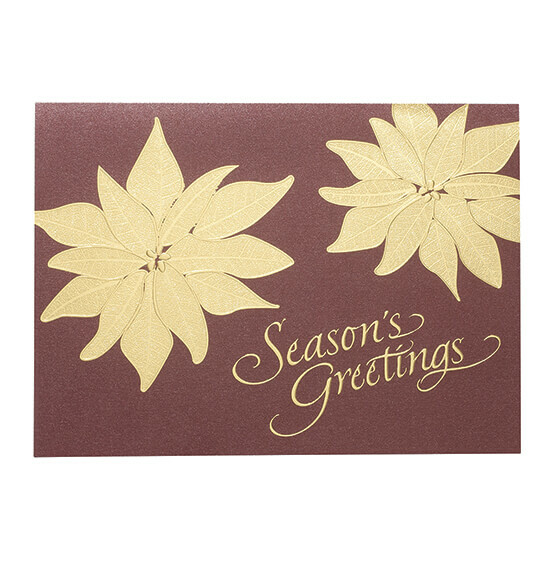 Inspired by the symbolism of poinsettias, this Golden Poinsettia Christmas card beautifully expresses your holiday wishes. 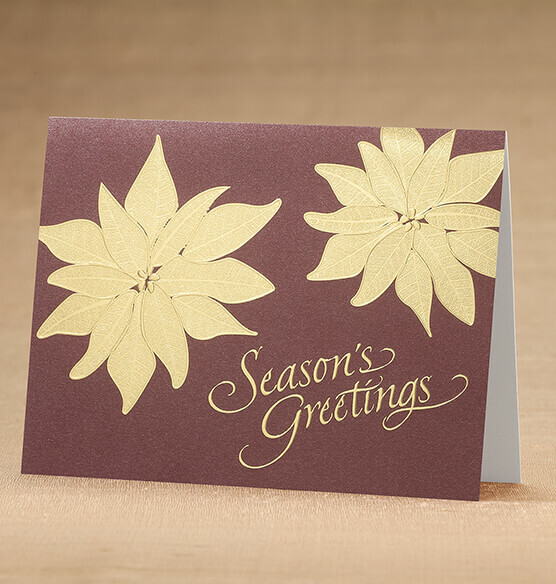 The poinsettias are foiled in gold to look like real leaves with veins against the merlot-colored background. Our exclusive Christmas cards are the perfect way to stay in touch and share a special moment with family and friends during the holiday season. I would like to personalize the cards but I don’t see an option? BEST ANSWER: Thank you for your question. This card set cannot be personalized. We hope this information will be of help to you.